Canadian Pacific train 198 accelerates east on track 1, after having crossed from track 2 at Tamarack interlocking, near Reeseville, Wisconsin. 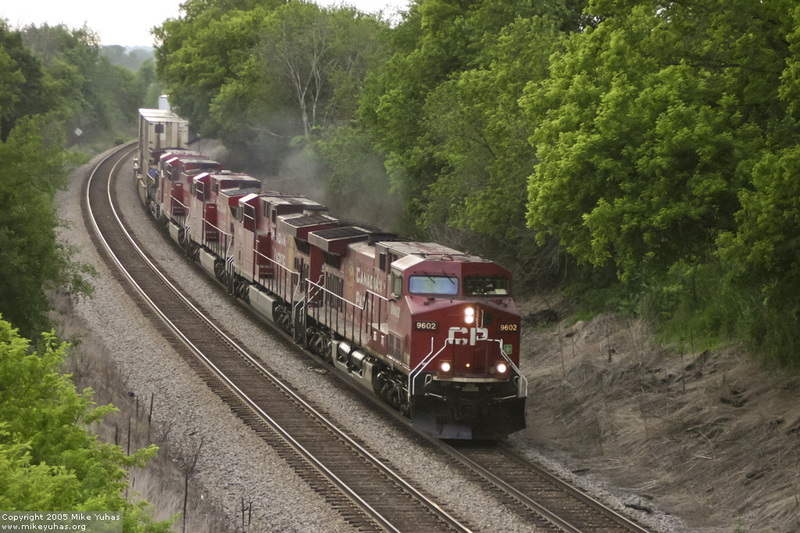 Five big GE locomotives power the train. Coincidentally, the nearby trackside defect detector counted 198 axles.